How has Ramadan been so far? The first five days just flew by, didn't they? I would remember the fourth day for a long time. It was a good day. I was preparing the studio for a Decoupage workshop and happened to see THIS in my IG feed. I almost teared up. Not exaggerating! Then we (four girls) had a fun time decoupaging. After the workshop, I had a quick nap. I was really tired and thirsty from all the running around and talking. Then we headed to my sister's/mom's place for Iftar. That evening was a memorable one. Good food. Loads of laughter. Alhamdulillah. Yesterday, while making beef cutlets, I asked Aisha and Talha to tag along and make some shapes using cookie cutters. Talha was in a very grouchy mood and wouldn't participate. But Aisha had a lot of fun. 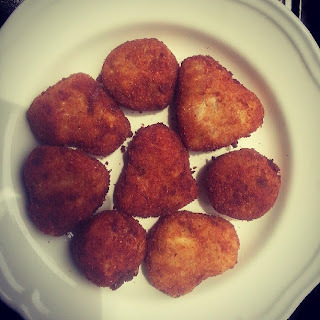 She and I made these heart shaped cutlets. 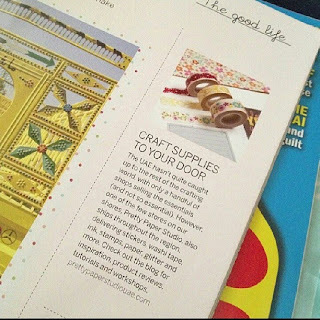 Day 5 prompt being 'something crafty', I hope you won't mind me sharing couple of my latest craft projects here. Mixed Media Canvas I made with Louella during one of PPS's workshops. 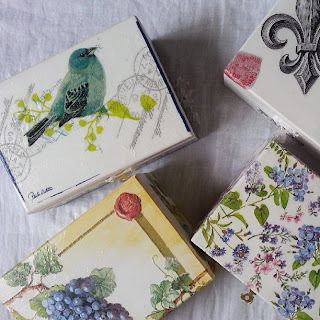 My very first Decoupage project. The bird is mine. That's all for now. Do participate in Hilalful's Giveaway. It's open to international entries too. PS. 'Justify' alignment doesn't seem to work on my posts lately. Any idea how I can fix it? Please include a link to your Day 5 here. Kindly link directly to your post and not your general blog link. I will also be pinning your post onto my Ramadan Journal 2013 board on Pinterest. If you do not wish to be pinned, please let me know by leaving a comment below.